Item #MS-195: 1"x1" Actacamite specimen. Hard to find Atacamite specimens are from the La Farola Mine, Tierra Amarilla Chile. The bright, dark Green crystals are mixed with bluish-green Chrysocolla crystals on a brown matrix. 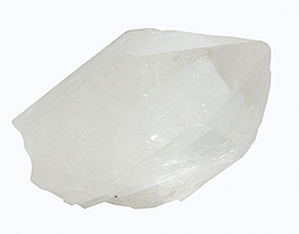 Item #307: 3.5" Natural Quartz Crystal Point. Item #MS-1046: Approx. 2.25"x.2"x1.25" Calcite on Sphalerite (Cave In Rock, IL) of 120 grams. 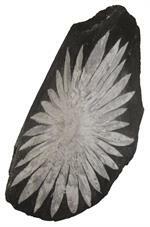 Item #AM-CHRY-ST-20: 2.75"-3.5" Chrysanthemum Stone specimen. Item #KGG-CLK-60: 2.75"-3.5" tall Copper Ore clock with quartz movement (Michigan). 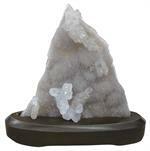 Item #AM-DQ-40: 4 1/2" tall Drusy Quartz on 1" wooden stand. Item #MS-577: Malachite Specimen from Congo. Approximately 3" long. Item #AM-MNGN-QTZ-45: Manganocalcite specimen from Pachapacqui, Peru with Quartz crystals. Approximately 2.5" long. Item #VO-NAT-OCO-25: Natural Oco Geodes. Approx. 1"-1.5". 12 pieces. Item #MS-879: Average approximately 3.5"x2.75" Selenite specimen from Mt. Gunson, South Australia of average 150 grams. Item #MS-532: Vesuvianite is also known as Idocrase. Our Vesuvianite specimens are from Asbestos, Quebec and display beautiful clusters of green tetragonal crystals. Vesuvianite has a Mohs hardness of 6 to 7 and a vitreous luster. Averages 1.25" wide.